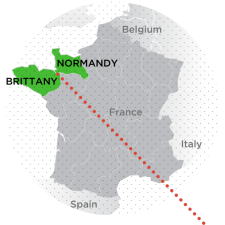 Though every region of Europe boasts a long history, Normandy has been deeply shaped by two watershed moments that are pillars of European history and culture: the Battle of Hastings in 1066 and the Allied landing on June 6, 1944. 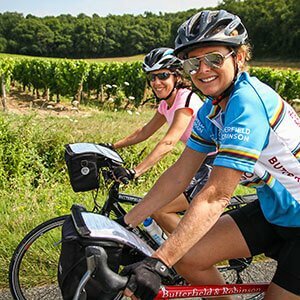 Discovering this region is like turning the pages of a history book while riding through lush fields, along white sand beaches, past quaint thatched cottages and ancient churches; the combination of these elements has created in Normandy a unique region. 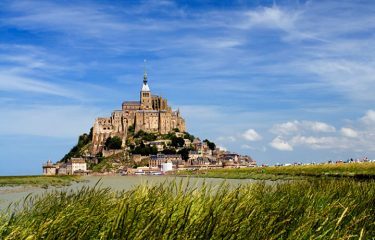 The locals speak of their love for the land as they speak of their attraction to the sea—a feeling you will share as we bike the Channel coast, pass historic beaches and visit the magical Mont Saint-Michel in Brittany. Bienvenue en Normandie! 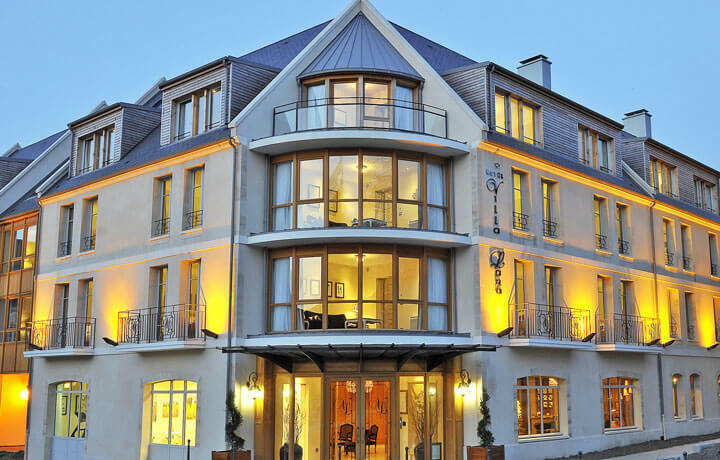 After settling in to your luxury hotel, you'll have chance to explore the historic town of Bayeux, replete with a magnificent gothic cathedral and narrow streets lined with picturesque houses and stone bridges. Your day starts with a trip to Pegasus Bridge, a vital part of the success of the D-Day strategy. 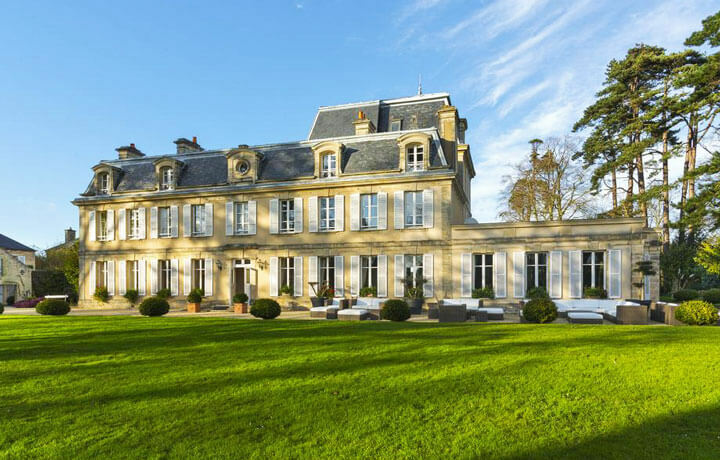 This afternoon, enjoy lunch in a private château before choosing between fun on a rope course or a family bike ride. Tonight you'll see the Bayeux tapestry in all its glory. Today you’ll delve more deeply into the D-Day locales with a ride to Arromanches and its Invasion Museum. After lunch in town, you'll have the option for some sand sailing! Meet our WWII expert at Pointe du Hoc, who will talk you through D-Day heroics. After lunch, visit Omaha beach and the haunting American Cemetery. An early rise will see you up and at'em for a day at the bay of Mont Saint-Michel, an impressive UNESCO World Heritage site. 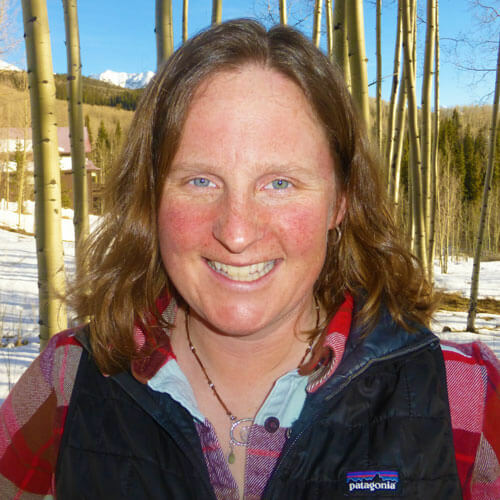 After lunch, you’ll explore the Mont with a local friend. 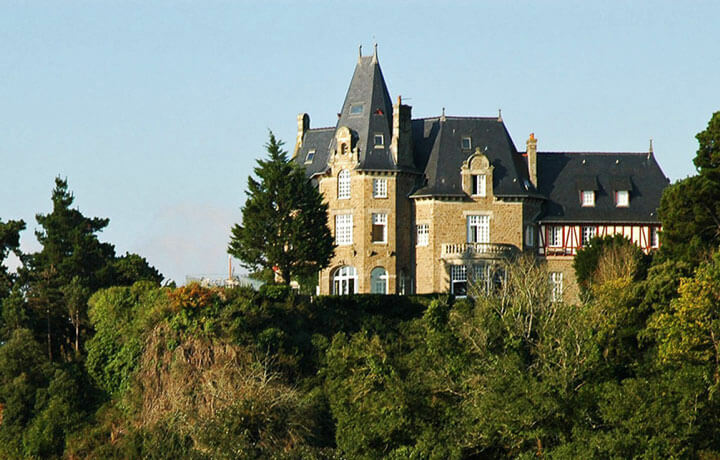 Later you'll arrive at your home for the next three nights, Château Richeux. Discover the marine environment of Brittany's Emerald Coast by dolphin spotting on board one of the Al Lark's zodiacs. Depending on the tide you will either visit an oyster farm or dig for clams and other tasty sea creatures along the way. You'll get back on your bikes today as you head along the winding cobbled streets of the fortified town of St-Malo. Here you'll explore the bay's inlets and hear pirate tales! Tonight's final night dinner will be at the Michelin starred Le Coquillage. This morning after breakfast, it’s time to bid farewell to your guide. A car and driver will take you to the Rennes train station, which has direct connections to Paris. À bientôt! From Viking settlements and the Battle of Hastings in 1066 to the D-Day landing during World War II, Normandy is filled with history for families to discover together. But it's the enticing separate activities -- the afternoons that kids spend horseback riding, racing quads and sand-surfing on the beach, while their parents enjoy leisurely afternoons of cycling, sightseeing and kicking back to sip Calvados -- that really set the five-day Normandy Family Biking tour from Butterfield & Robinson apart. This trip is rated Recreational. While most of the riding is relatively easy, the terrain is generally rolling. 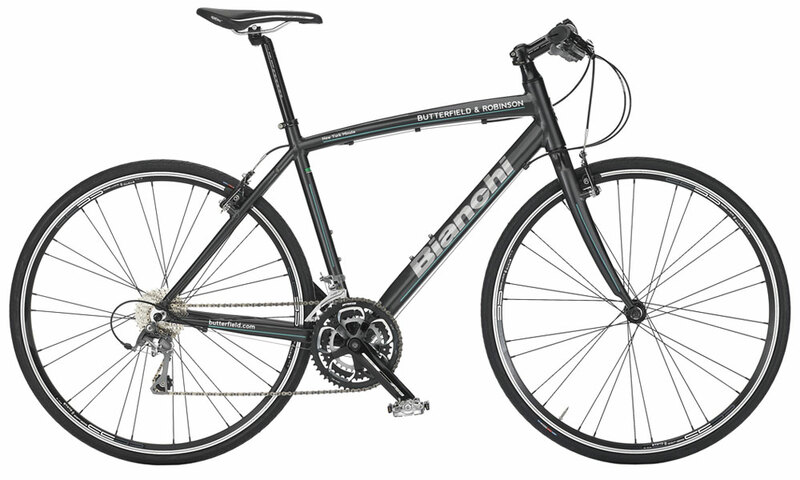 On a couple of days, the ride is longer than the average 16-40 km (10-25 mi. ), although the terrain on these days is relatively flat.